The EU's General Data Protection Regulation is meant to bring better data privacy to bear in the age of big data. How GDPR implementation will proceed remains to be seen. The European Union's May 25, 2018, deadline for the General Data Protection Regulation is fast approaching -- and, as a result, GDPR implementation is being discussed on both sides of the Atlantic. The pace is not easy to gauge, however. Gartner has projected that 50% of the affected companies will not achieve full compliance by the end of 2018. Forrester Research has predicted that 80% of the firms affected by the General Data Protection Regulation (GDPR) will not be in compliance by the May deadline. Some viewers wonder if companies are waiting to see if the European Union goes after a high-profile big data player, such as Facebook, first, with the intent for companies to take that as a guide on how to comply with GDPR. Others, such as Daragh O Brien, head of the Castlebridge consultancy in Dublin, see beyond that view, and they suggest the edict will eventually further the cause of sound data governance in the enterprise. 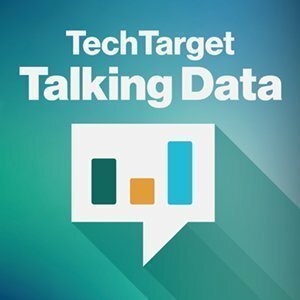 The conversation on GDPR implementation may be different in different industries and departments within individual companies, as is described in this latest edition of the Talking Data podcast. Legal and security teams were first to consider the regulation, which comprises more than 90 individual articles. Then, IT management and data professionals were called in. Perhaps later in the cycle, marketing started to look at possible GDPR privacy issues with their data. "The team that is on the frontline is marketing," Constellation Research analyst Cindy Zhou told reporter and Talking Data podcaster Jack Vaughan in an interview that he recounts in the podcast. But marketing may just be awakening to the issue, according to Zhou. She cited data from Constellation's, "A Guide to GDPR Compliance for Marketers," which showed that only 27 of 62 marketers surveyed were aware of GDPR, and only 15 of the 27 were actively preparing for it. And, still, the deadline is looming. How is your organization's approach to data governance changing in the face of GDPR?